The following article by Alan Finlayson is re-produced under a creative commons licence from Open Democracy. 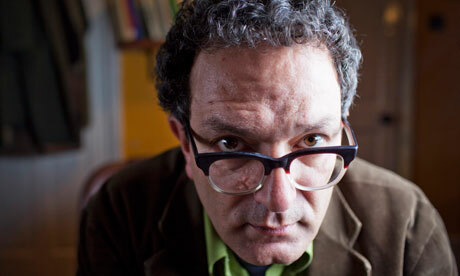 Having risen to prominence as a (possible) intellectual guru for the Labour Party, and as the most public figurehead of ‘Blue Labour’, Maurice Glasman has been variously denounced as a “tool of apolitical centrism”[i], the advocate of a “socially conservative, economically liberal agenda”[ii], and as some sort of fascist fellow-traveller. [iii] Glasman himself urges Labour to attend to the common good through a “politics that brings together immigrants and locals, Catholics and Protestants, Muslims and atheists, middle and working classes”. It’s all a bit confusing. The fact is that “Blue Labour” has created a framework within and against which Labour’s internal debate has been energised. It has done so whilst bringing various factions together (Progress and Compass, The Fabian Society and Soundings) - no mean feat and certainly a break from recent Labour traditions (although the non-involvement of the Briefing left is unfortunate). If only for that reason it is, I think, worth taking time to work out what Glasman is all about. In response to Billy Bragg’s charge that he was ‘economically liberal’, Glasman wrote this: “Resistance to commodification through democratic organisation. That's the position”. So, let’s see if we can understand what he means. Glasman is what political philosophers call a ‘virtue-theorist’. For him, generalised moral rules make little sense. What matters is the quality of all of our actions in the context of the ongoing collective life of which they are a part; the extent to which such actions both contribute to and are rooted in a form of life in which individuals may flourish. There is a fundamental difference between this and Blairism. For Blairism (as for neo-liberalism in general) the only moral agent is the individual, whom government should help to become self-reliant, responsible, law-abiding. For Glasman the community is also a moral entity; only if it is rightly organised can people flourish. This is not a “right-wing” position. In Glasman’s case it is also not a Liberal one. Glasman thinks that Liberalism treats values and principles in a way that extracts them from the communal and cultural contexts in which they have meaning and force. In so doing, it drains the ethical life from autonomous communities and depoliticises virtue by declaring that ‘the good’ will derive from formal rules and procedures professionally operated and enforced by Liberal lawyers, philosophers and politicians. These are fundamentally concerned with specifying when the state can legitimately intervene into the lives of insufficiently liberal individuals. A consequence of this is that relations other than that between individual and state come to appear as having little or nothing to do with ethical and moral life; the most important of these is the economy. To the liberal concern for constitutional justice Glasman wants to add economic justice. But he does not mean by this only that there should be a better redistribution of wealth. He means that the working part of our life should be about virtue and ‘flourishing’, just as much as every other part. For that to be so, people should have some measure of control over their lives at work, and that work should have intrinsic value and meaning. That is why Glasman admires the culture of the mediaeval guilds and G.D.H. Cole’s attempt to invent a modern guild socialism. It is also why Glasman opposes to the Blairite project of inculcating ‘transferable’ skills – of the sort that float freely around the knowledge economy - the cultivation of vocational skills rooted in craft cultures and traditions. For Glasman what matters most is the maintenance of autonomous communal life within which virtue may flourish. He is thus particularly concerned with the forces that threaten such community. For the right, traditionally, these threats are usually immoral individuals (single mothers, atheists, divorcees and so on). But for Glasman, not only individuals but also (and more importantly) institutions can be wholly incompatible with ethical life. And for him the most important of these, is the institution of the market. Glasman’s inspiration here is the economist Karl Polanyi who sought to describe and explain the development of the capitalist market in England in the 17th and 18th centuries. Liberal economics often imagines the market as a wholly natural outcome of the interaction of human wants and interests under conditions of scarcity. In contrast, Polanyi argued that it was the outcome of a political project. Surveying England’s history of enclosure and the forced mobility of labour he concluded that “There was nothing natural about laissez-faire; free markets could never have come into being merely by allowing things to take their course…laissez-faire itself was enforced by the state”. For Glasman political debate about the market should not be confined to the degree of legitimate intervention within it (as if it were a delicate natural ecosystem). His key concern is not how to ‘manage’ the economy or impose moral restraints upon unruly individual capitalists. The problem is much greater than that. There is a fundamental opposition between ethical community and the market because the market entails the commodification of life, labour and nature; it pulls things out of the communal context within which they have meaning by subordinating them to its one ‘universal’ measure of abstract value: ‘price’. One part of the Labour tradition has seen its task as the use of the state to increase access to commodities - through organising to improve wages, state benefits and national economic planning. New Labour was in this tradition; accepting that we now live in a free-flowing, global knowledge economy, it saw its task as helping people to acquire transferable skills which would help them to fetch a better price on the market. This, incidentally, is what new Labour meant by social mobility. But Glasman claims that there is an alternative tradition for which commodification itself is the problem and the role of the party is the creation of collective organisations which can resist it, entangling the market in democratic “regional, civic and vocational relationships”. His examples include mutual banking, “real traditions” of craft, co-operatives and so on. This is a specific form of anti-capitalist politics. It identifies the core problem of capitalism not as inequality or class war but as commodification. The latter is thought wrong primarily because it undermines embedded communities. Glasman’s politics, although shaped by realities of class, are not necessarily class politics: for him every community is threatened by the market and thus any community - national, regional or religious - has the potential to be part of the struggle against it. Indeed, it may be that Glasman is not in favour of community organising because of its role in challenging capitalism, so much as opposed to capitalism because it challenges community organising. This is why Glasman makes very particular reference to the challenge money poses to community life and why he argues that “Democracy, the power of organised people to act together in the Common Good, is the way to resist the power of money”. [v] Often he inveighs specifically against finance capitalism and has been particularly and powerfully critical of the City of London. [vi] It is not that Glasman doesn’t care about capitalism in general. Rather, the problems he finds in it are not sufficiently captured by pointing to its exploitation or greed. For Glasman the problem of capitalism is that it enables the sovereignty of money over common life; that trade in commodities substitutes for real production carried out by real people making things that they care about. In this respect, at its core, Glasman’s critique of capitalism is not in fact moral at all. It is ontological. To believe in money is to hold an erroneous view about the nature of the universe. Money is a false prophet. In a lot of the comment on Blue Labour the religious dimension has I think, been both underestimated and misunderstood. [vii] Yet it is in this aspect of his thinking that Glasman is most dramatic and iconoclastic. For most political thinkers in the contemporary West it is a given that a defining opposition in our tradition is that between “Jerusalem” and “Athens”: the city of faith, governed by a transcendent principle, and the city of politics, governed by whatever the people decide. Glasman thinks that this opposition is false; that faith and citizenship can and must be reconciled. That is because today both are under threat from the same forces. The first, as we have seen, is the commodification of the world. The second, is a form of pluralism so radical that it produces communities which, although they share a polity, cannot properly speak with each other. Consequently, there can be no conversation about the common good. For Glasman the point of politics is to maintain the ‘community’ because being in community is the ‘end’ of humanity, its goal or purpose – the place within which love, brotherhood and mercy can flourish. He does not speak the legalistic language of secular liberalism (essentially the language of individual rights) but, rather, the language of faith communities and of faith in community (essentially the language of civic participation). Glasman is a true believer in civic politics, and just as the ancient religions were really all about organizing peoples against their adversaries so is Glasman’s political religion about organizing communities against the threat they face from the market and the state: “Resistance to commodification through democratic organisation. That's the position”. Glasman has certainly sparked controversy. I do not find him advocating a uniform national culture of the sort that Tories sometimes talk about. Nor do I find him expressing an ethnically exclusive politics. But I can see why people think this. Glasman privileges a politics of collective action over a legal order of individual rights and this makes it hard for many left-liberals to fit him into the political spectrum. Furthermore, English political culture lacks a common vocabulary for talking about race, class and religion in political terms (our history is one of bitter struggle to de-politicise these) and Glasman has been insensitive to this cultural context. That is unfortunate because he and Blue Labour are trying to speak about things new Labour was embarrassed by: ethics, class and the British socialist tradition. These are things we need to talk about together. Ultimately, I suspect, Blue Labour’s success will be limited, not unironically, by the conservatism of the Labour Party. Labour’s is an insular culture much more at home with the processes of official politics (producing candidates, harvesting votes) than with the unpredictable force of social movements and community organisations (especially ones that are religious or ‘ethnic’). In their heart-of-hearts the question which Labour members ask when evaluating political ideas is not ‘is it right?’ but ‘will it get us elected?’. Those who think that Labour lost in 2010 only because it was soft on immigration, and that one wins in politics by moving to the centre rather than moving the centre towards you, are now regrouping under the label of ‘Purple Labour’ where they will leave Glasman behind. [xi] Others will find provocative talk about Englishness and religion difficult to cope with (as, to some extent, do I). There are also conceptual problems. At its core, Glasman’s thought is animated by the power of political movements - the energising and consciousness-raising effects of political and community action as well as the ethical experience they make possible. That’s fine, but such a politics, thriving when opposing the forces that threaten it, tends to find it harder to specify how official, government power should work, how the relations between persons on a macro-level can be administered. That generates unclarity about the state. For most social democrats the state is precisely the means through which communities protect themselves from markets. Glasman is critical of the ‘big state’, because he thinks that it weakens ethical community. That is not a ludicrous position to hold but a traditional social democrat would respond by saying that this is why democratising constitutional reform is so important. Some might feel that this defence has a practical clarity lacking in the general demand for community organising (although Labour itself is usually not much interested in either). Secondly, and this point is made very well by Sally Davison in her contribution to The Labour Tradition and the Politics of Paradox, while overturning the idea that the market is natural Glasman seems to fall back on the notion of natural community. [xii] Mainstream Liberals will respond that, since not all communities are the same, there must be some more general criteria for distinguishing between the really ethical ones and the rest. The more radical will respond that all communities are also political constructions, often serving the interests of the few, and that politics should oppose this too. More importantly, from my point of view, in Glasman’s thinking organic community acts as a kind of deus ex machina in the struggle against commodification. Somehow, outside of the forces of capitalist enclosure, community remains, awaiting only organisation into the right form to carry out its redemptive mission. But that faith, I think, hinders deeper analysis of the balance of social, cultural and economic forces, the tendencies within them and the possible directions in which they might take things. Glasman may be right, and there is evidence for the claim, that the next phase in the history of political struggle will be centred on religious and other ethical communities united against the relativism of commodity capitalism. But I need more than an invocation of faith to convince me of this. It seems to me that one of the things which Blue Labour has inadvertently proven is just how hard it is in England to think beyond the assumptions of the Liberal tradition. Probably, many think that a very good thing. But while the answers are not all there, Glasman has at least posed the challenging question of the common good. Belief that this question has an answer is what distinguishes ‘the left’ from everything else. The efforts to answer it constitute a tradition that needs to be remembered and in which Glasman may yet find his place.